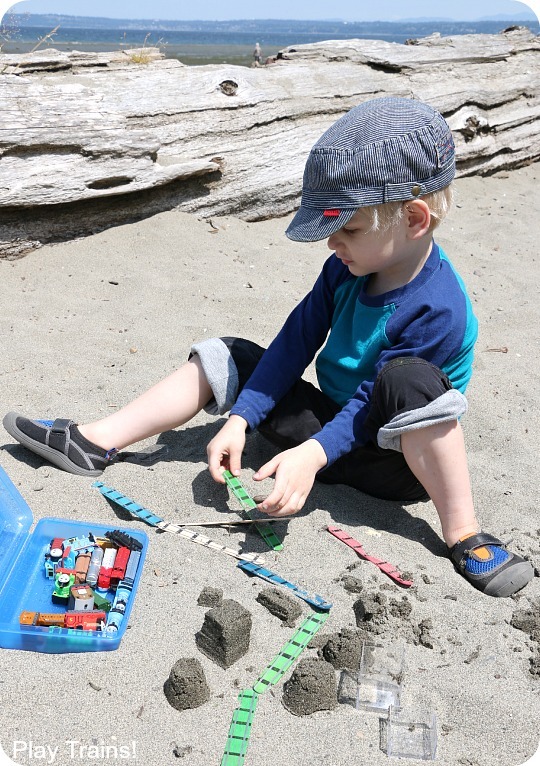 The Little Engineer loves playing the sand no matter what, but he loves it even more when we have some sort of grand plan involving his favorite things. 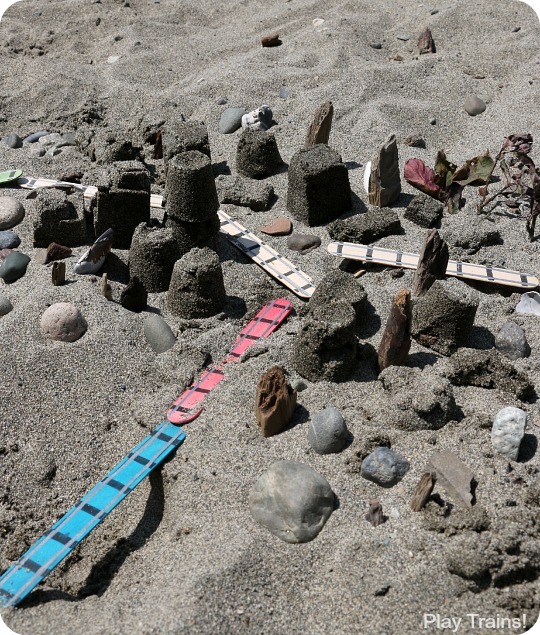 The railroad we built in the sand after reading the Peter’s Railway books last year was a plan like that, one that he remembers and has asked to do (and has done) again. 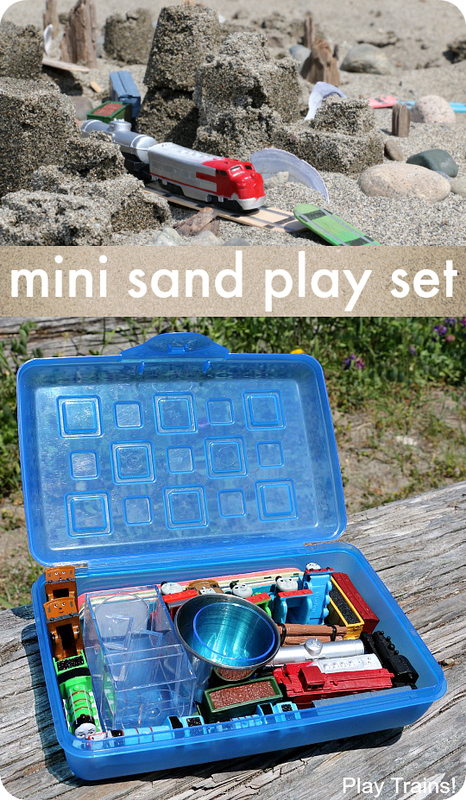 I wanted to do another beach activity inspired by his interests, and I came up with this travel-friendly mini sand play set made just for him. 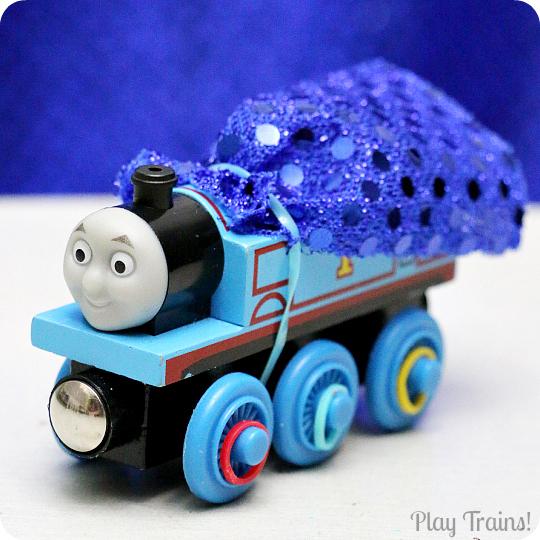 Ours was train-themed this time, but you could incorporate just about anything your child was interested in playing! 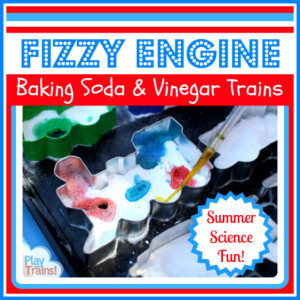 Today is the last day of Summer Play Days, a series of ideas for summer fun with kids we’re participating in along with Fun-a-Day!, My Nearest and Dearest, Buggy and Buddy, and Nothing if Not Intentional. Make sure to check out the links to their awesome activities and crafts for today at the end of this post! We often meet my parents at the beach for picnic lunches. It’s a special place for us, being the same beach where I first met the sea during my toddler days. 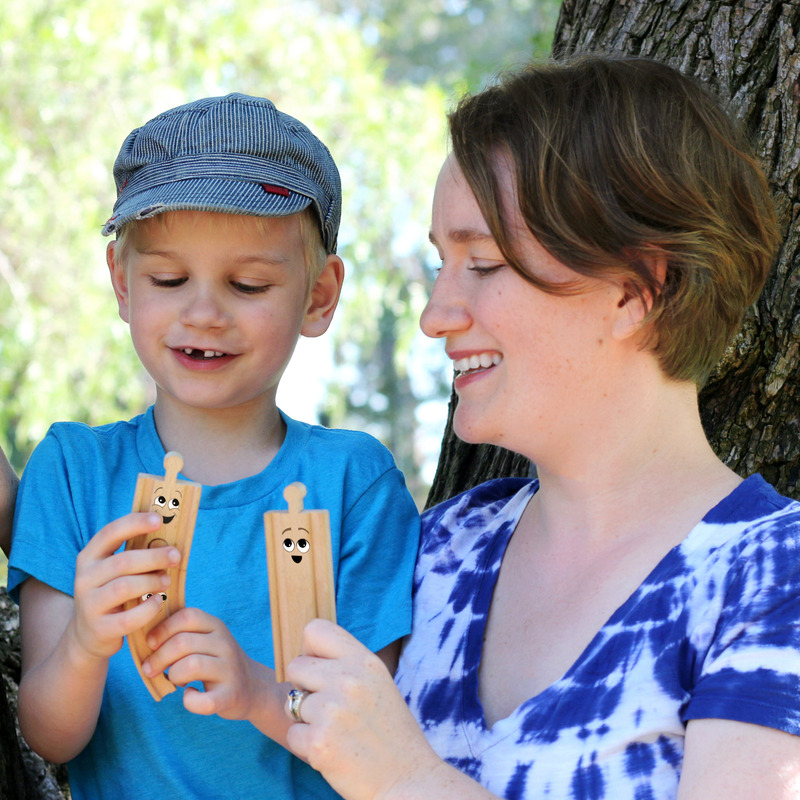 I like to make these picnics with his grandparents as special for him as I can, and one of the ways I enjoy doing that is bringing a new activity that I know he’ll love. But it’s an awfully long walk from the parking lot to the beach, and when we come during the week without my husband, I have to carry almost everything by myself. So instead of lugging a bucket and shovel and other sand toys, I wanted to have something compact and light to slip in a backpack. Whether you’re heading off on a trip or want something small to keep in the car for frequent beach visits, this set is the perfect solution. 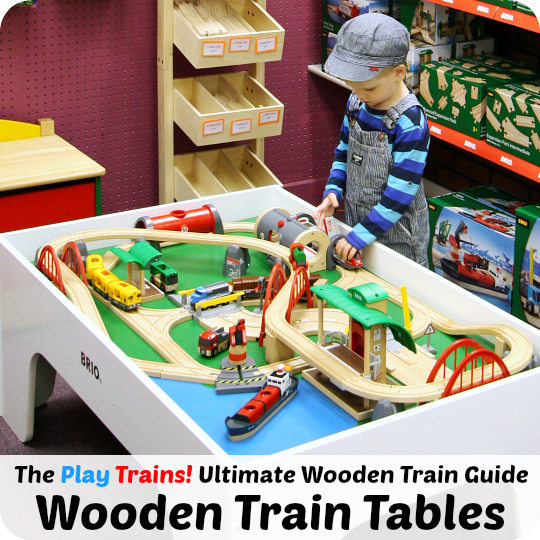 And if you are headed off on vacation, you could easily pack the Portable Pretend Model Train Set to play with on a trip, and then switch out the scenery from that for the sand mold containers in this set when you go to the beach! Pick a small, closable container. 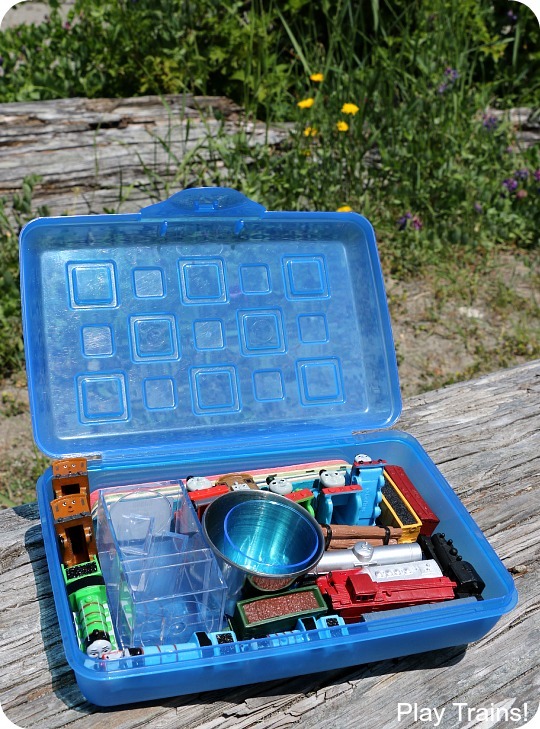 I used the same pencil box from two of our other portable activities, the Portable Pretend Model Train Small World and the Pencil Box Wooden Train Set. 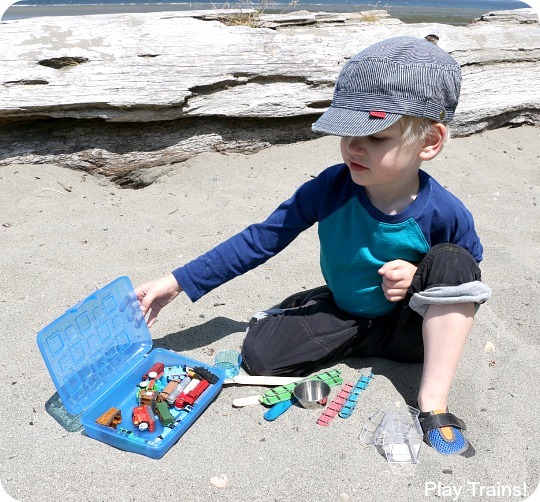 This really could have fit in a smaller container — read about our Travel-Friendly Mini Sand Castle Kit for the very smallest version — but I had already grabbed this one when I told the Little Engineer about my plan, and he proceeded to load the rest of the space up with trains! Add smaller containers for molding sand. 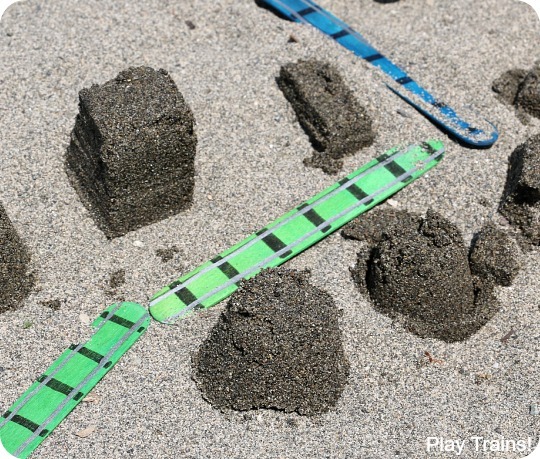 The original inspiration for this sand play set were the clear plastic Amac boxes (I picked clear for the set, but they also come in a rainbow of colors), waiting around for me to use in another activity I’ll be sharing here soon. I put a small square box (1″ square x .75″) and a small rectangular box (2″ x 1″ x .75″) inside a larger box (1-5/8″ square x 2-7/8″), and it fit perfectly in the pencil box. I also found a metal condiment cup and one of the small colored plastic cups (a.k.a. neon shot glasses) that we used for our Story Cups for Light Play. Just so you know, the cups and shot glasses are easier to release the sand from than the straight-sided Amac boxes, but the Little Engineer was able to manage the smaller Amac boxes well enough and thoroughly enjoyed all of them. I’ll have more tips for building sand castles with the Amac boxes in tomorrow’s post. 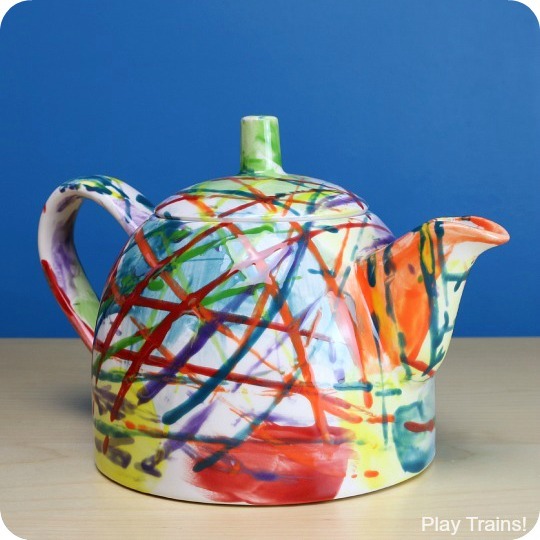 Add small toys and other elements that reflect your child’s interests. 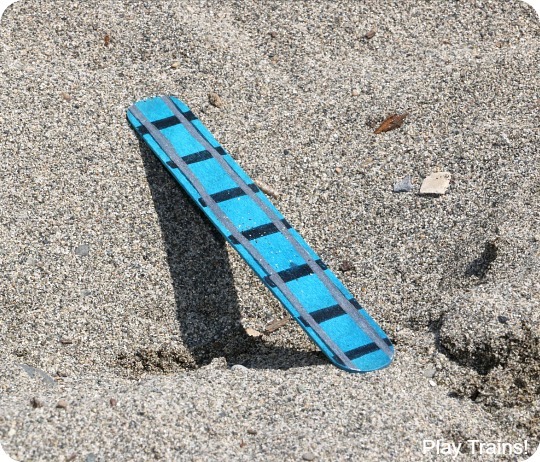 The one trick with this is you don’t want to take any small toys to the beach that you wouldn’t be okay with losing in the sand! After nearly losing one of our Amac boxes, I encouraged to put any trains and molds he wasn’t playing with back in the pencil box so they wouldn’t get accidentally buried. 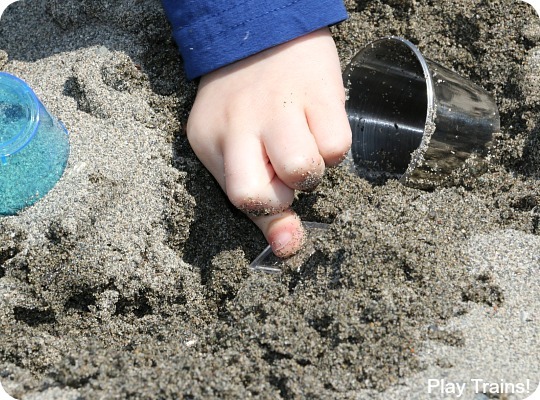 Also try to avoid any toys that might get scratched up by the grains of sand. 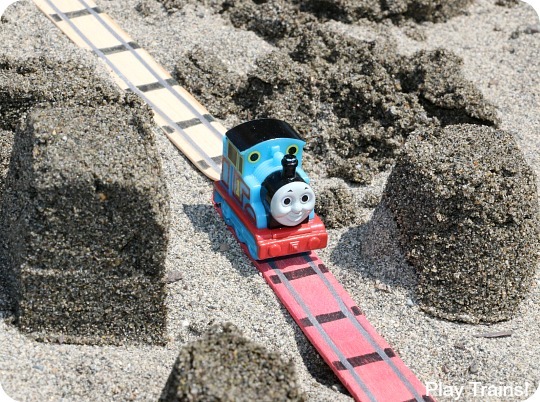 For our train sand play set, the Little Engineer picked out a large number of our little plastic trains, including Thomas & Friends Pez trains (carefully removed from their Pez dispenser bases by an adult; you can find these at Toys’R’Us) and trains from the Safari Ltd. 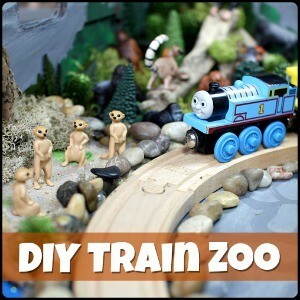 Trains Toob, the Safari Ltd. 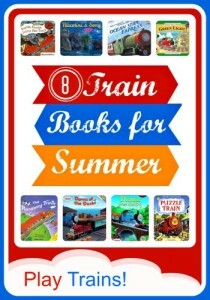 Steam Train Toob, and the Thomas and Friends Busy Book. 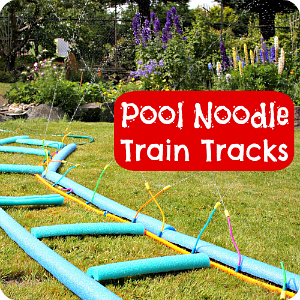 In addition to the plastic trains, I put the craft stick train tracks we made for the Portable Pretend Model Train Set. 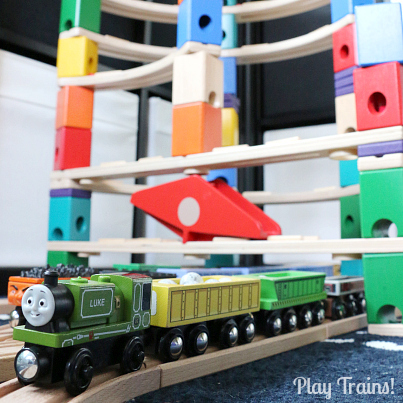 Having helped pack the play set, the Little Engineer was excited to play with it. 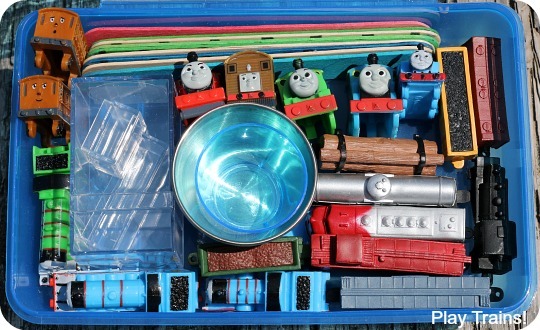 As soon as he was done with lunch, he opened up the kit, took everything out, and arranged it on the sand. 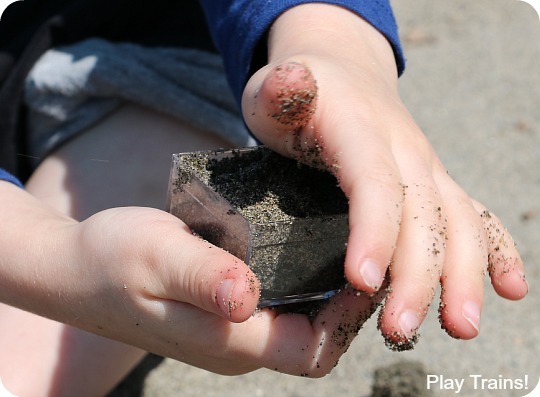 He really enjoyed packing the sand into the small molds and making buildings in the sand. 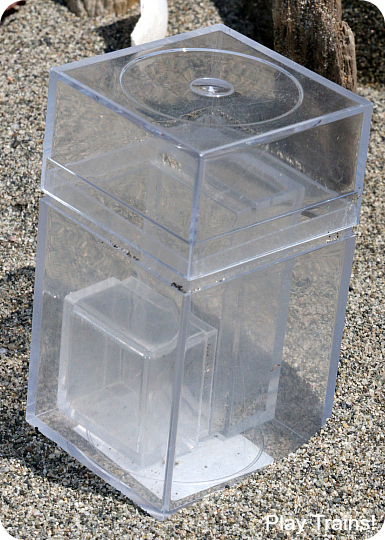 He also enjoyed simply pressing the clear boxes into the wet sand on the beach. 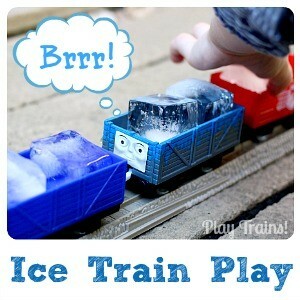 Once we had the beginning of a small town, he started building a railroad through it with the popsicle stick tracks. He showed me how to build bridges by digging a small hole in the ground and having a track span it. Always a blue track, to indicate water beneath the bridge. Sometimes trains managed to get on the tracks before they were torn up. 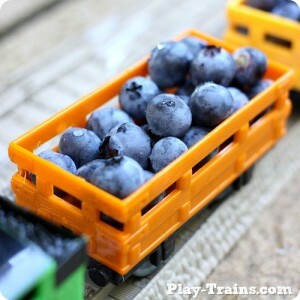 Sometimes we played out a story with our trains. 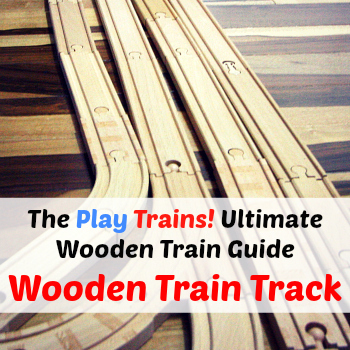 Which almost always involved the track getting destroyed and repaired! While the railroad kept getting rebuilt, the town grew and grew. 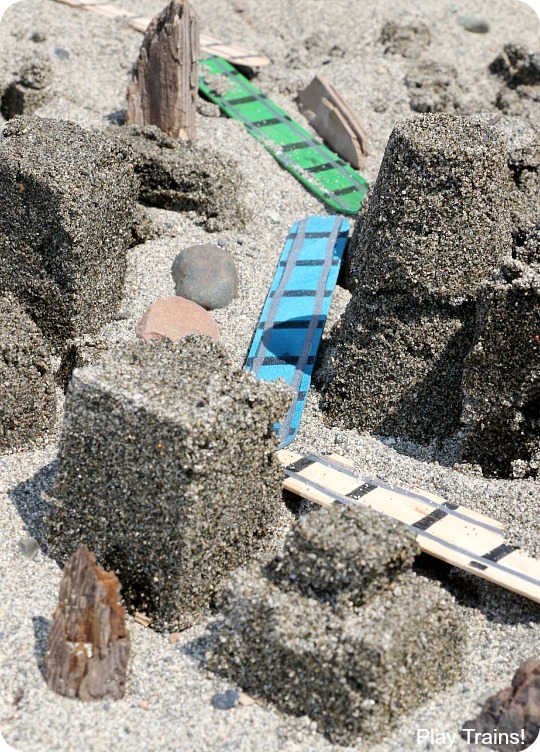 We built more and more sand buildings, stacking them on top of each other. We added rocks and driftwood and shells for scenery. 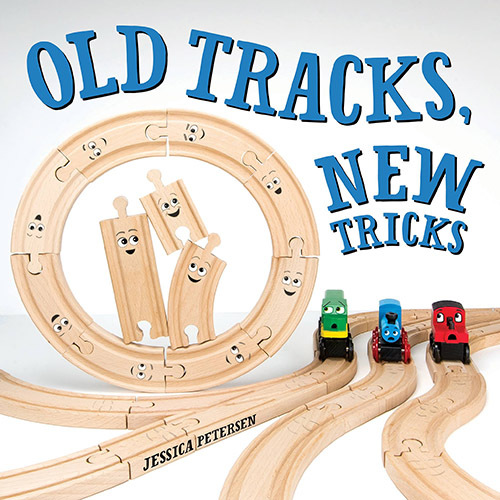 We arranged and rearranged the tracks, almost always digging new holes to cross with bridges. 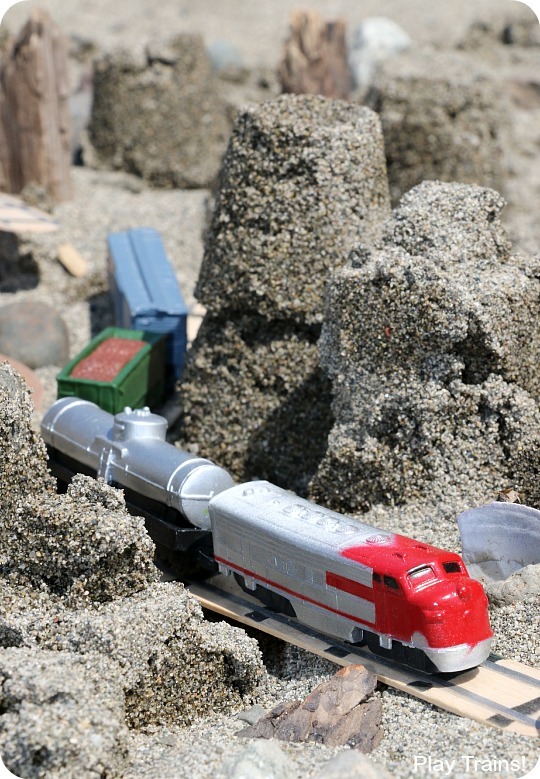 Eventually, we had a sand city, and with this little plastic Santa Fe-style engine, it looked like it belonged somewhere in the southwest. 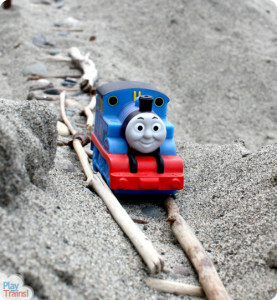 When it was time to go, the Little Engineer was still happily building his railroad over and over, though as the afternoon wore on, he did take breaks to climb and balance on the big driftwood logs we were building near. It was definitely a beautiful, and very special, day at the beach. 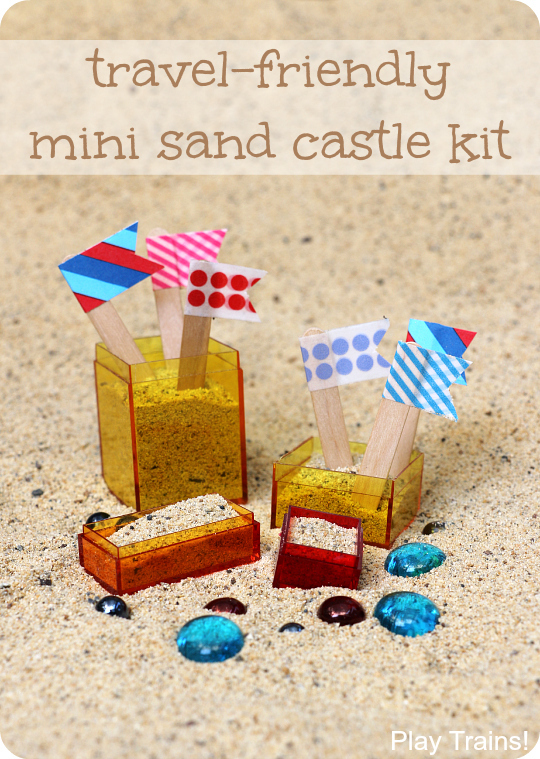 This sand play set inspired an even smaller mini sand castle kit — think carry-on luggage small! 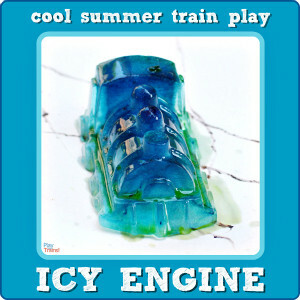 Make sure to visit the other blogs participating in the series for more fun summer activities and crafts! Thanks, Ann! 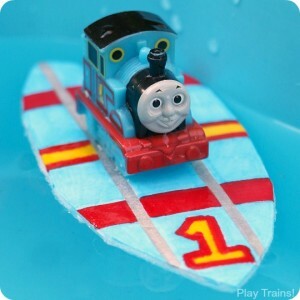 It’s fun to think up different sets…enjoy it! Ok, this is awesome! 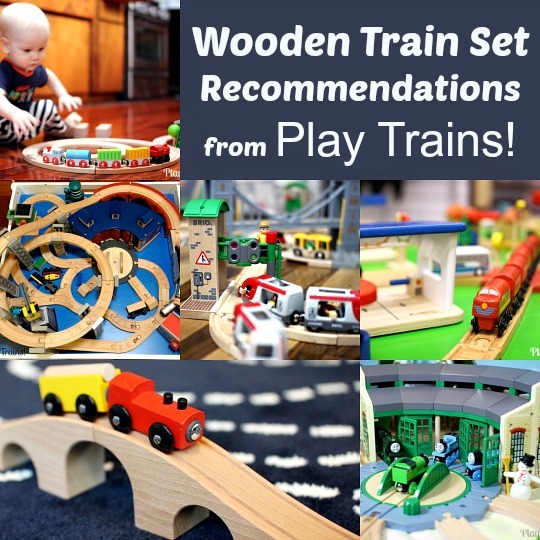 My littlest loves trains, and these portable playsets are perfect for him! Yay! I’m so happy to hear that. I hope he enjoys it! 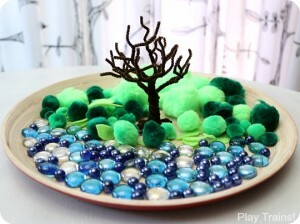 we love sand play and have a table in the kitchen. Love the idea of making it portable and we have a box just like that. 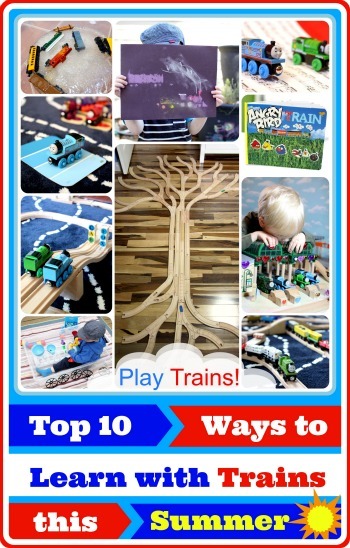 Thank you for sharing on the Kids Coop I am featuring it this week.